Often, clients begin their first conversation with a lender by asking about interest rates and fees. Important questions to consider on a purchase as substantial as real estate but in fact, those are not the most important questions. 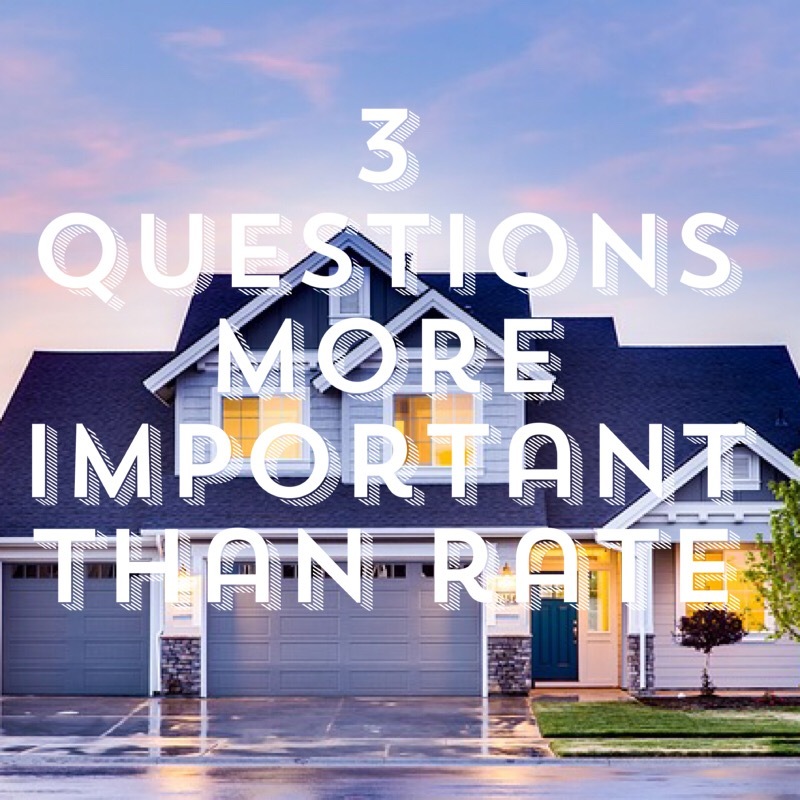 After years of behind-the-scenes experience in the mortgage industry and specifically seeing first-hand how many things can go wrong in an escrow, I would suggest three different questions to start the conversation when interviewing mortgage lenders. Allow me to give a little insight into how things can go from great – aka “pre-approved” – to the nightmare we refer to as “denied.” It’s fairly common knowledge borrowing hundreds of thousands of dollars is no easy undertaking. There are endless guidelines that are constantly changing in regards to what is permissible on a borrower’s file and what is simply a hard stop. Beyond those hard stops, there are tons of blurry lines – from letters of explanation to exception requests. An innocent buyer working with less than competent lender (who they chose because he had a fancy office and fun loan program) can do something as simple as accepting a gift from parents and depositing a large sum of cash into the bank…and that would jeopardize the whole loan. A tax-savvy earner, who’s employer realized it might be better for them to become an independent contractor, might fill out an online application with the bank that had the best advertised interest rate – only to find out two weeks into escrow that they don’t qualify for a loan because they are now technically self-employed without a 2 year history. These stories aren’t to scare anyone, but they are just the tip of the iceberg. I’ve had buyers come to me in panic situations after a lender denied their loan because of their 2106 expenses – when tax returns never should have been part of the file, not to mention that 2106 expenses aren’t allowable anymore and therefore irrelevant. Here is the thing, consumers are told to shop around for the best interest rate so they do just that. But, in reality, that’s far from the most important component to your financing strategy. On a $350,000 purchase, a borrower could shop around to get 4.875% instead of 5% on their interest rate. That would save them a whopping 89 cents a day. On that same purchase, your earnest money deposit of $3,500 could be gone if your lender doesn’t do their homework on your loan strategy and abide by the contingencies of the contract. What do your previous clients as well as realtor and escrow partners say about you? How confident are you that you will be able to find the best loan program for me, that will set me up to succeed on my other financial goals – and, do that on deadline under pressure?